Living up to their slogan, “a taste of pure enchantment,” Fairytale Brownies has been bringing delicious, gourmet brownies into households throughout the country since their humble beginning in 1992. Started by two childhood friends, Fairytale’s simple goal has always been the same: spreading joy and simplifying the gift giving process. 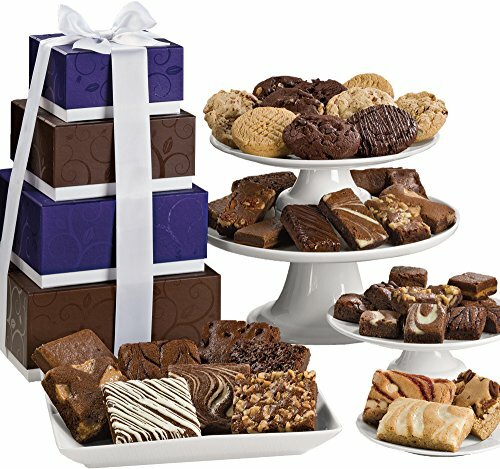 A gourmet brownie retailer, specializing in assorted gift packages for every occasion. Fairytale Brownies offers 12 delicious brownie flavor options including caramel, espresso, cream cheese, mint and more. Additionally, Fairytale offers a wide selection of six cookie flavors, of which chocolate chip, caramel pecan and toffee are a few decadent varieties. They also carry six different types of brownie bars, with flavors including cheesecake swirl, lemon blondie and raspberry white chocolate. 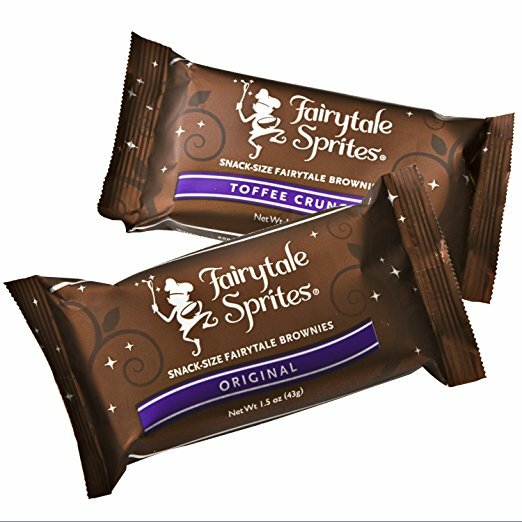 Their brownies are available in three sizes: Fairytale Brownies (3”x3”), Fairytale Sprites (3”x1.5”) and Magic Morsels (1.5”x1.5”). When shopping at Fairytale, you are able to shop by occasion, gift type and price. 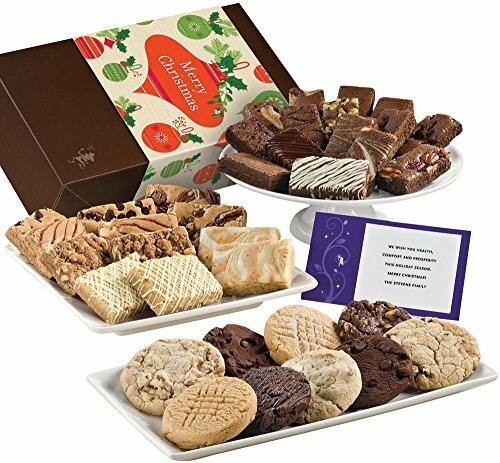 Customers can choose from a variety of sampler gift options and can also customize set of their own brownie flavors, with quantities ranging from 6 to 48 gourmet brownie options. 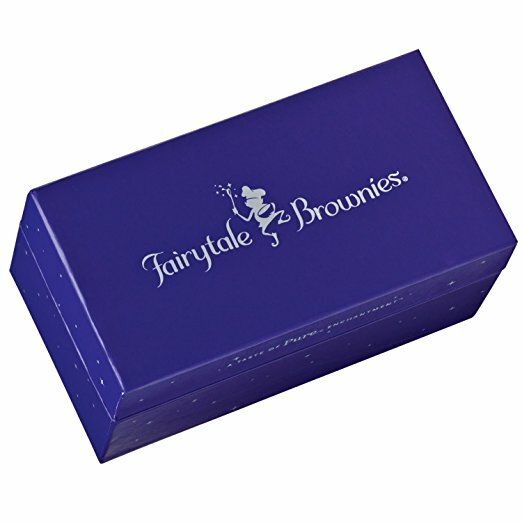 Every batch of Fairytale’s gourmet brownies is crafted with premium ingredients. Starting with the finest Callebaut Belgian chocolate, farm-fresh eggs, top-notch creamery butter and the the and the fluffiest cake flour, each brownie is something special. Fairytale also uses the highest-quality ingredients, which means no preservatives or hydrogenated oils, ever. All Fairytale products are also certified kosher for dairy. As previously mentioned, Fairytale Brownies carries a wide selection of brownie, cookie and bar flavors. Even better, the vendor has delicious sugar-free and nut-free brownie options. Fairytale also offers specialty seasonal items, like their Fall-inspired gift sets and pumpkin spice treats, featuring the perfect combination of nutmeg, cinnamon and ginger spices. They do not offer gluten-free or vegan options at this time. If you needed another reason to try Fairytale Brownies, they also offer a Fairytale Gift Club so that you and those you love can enjoy their treats year round. Membership options start at three months for $99.95. Other membership options include six months for $199.95 and 12-months for $389.95. Each month’s shipment includes selections specialized for the season, with a Valentine Morsel Dozen for February and Fall Medley for November. Fairytale Brownies does not offer the purchase of individual brownies at this time. However, they have a variety of purchase options that should work for any budget. Dedicated to offering the best products for great prices, Fairytale lets customer shop their gift sets by price, with gifts options starting as low as $8.95 for a set of four morsel-size treats and topping off at $274.95 for their Extravagant Delights, 174-piece gift set. In addition to their wide selection of gift set options, customers can customize a purchase to include exactly what they want with the vendor’s Choose Your Own Flavors option. 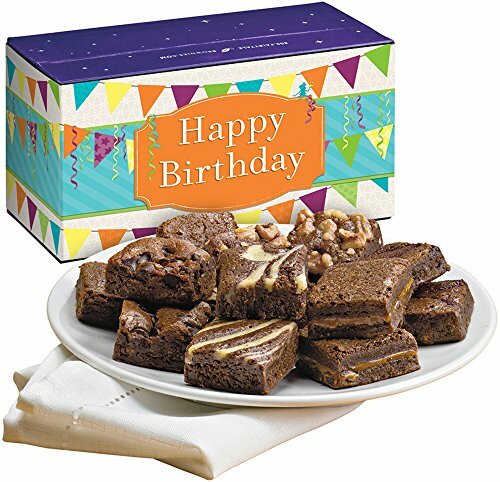 Pricing varies depending on selection, with prices starting as low as $26.95 for a set of 6 brownies to as high as $148.95 for a set of 48 brownies. They also offer three Fairytale Gift Club options, the pricing of which are discussed in the Club Membership Option section above. Fairytale Brownies takes great pride in their gourmet products, and takes every precaution to ensure they arrive at your doorstep unbroken, fresh and delicious. During the Summer months, they ensure the freshness of their products by carefully packing them in insulated boxes with reusable icepacks. In these Summer months (6/1-9/30) Fairytale does charge an additional $2.00 per shipment to compensate for the precautionary packaging. 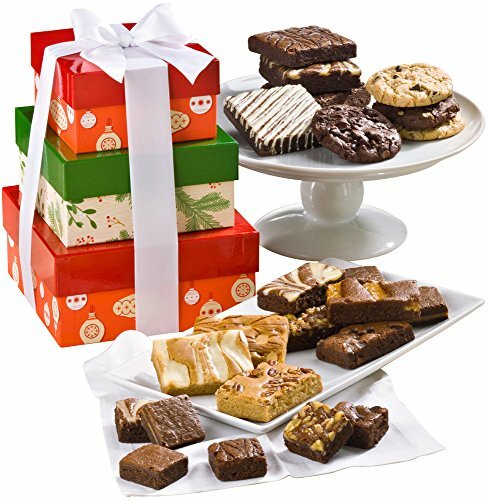 When shopping with Fairytale Brownies, you are able to choose from a variety of gift options, ensuring that you are able to find the exact gift combination that you are looking for. Fairytale allows you to shop by occasion, gift type or price. 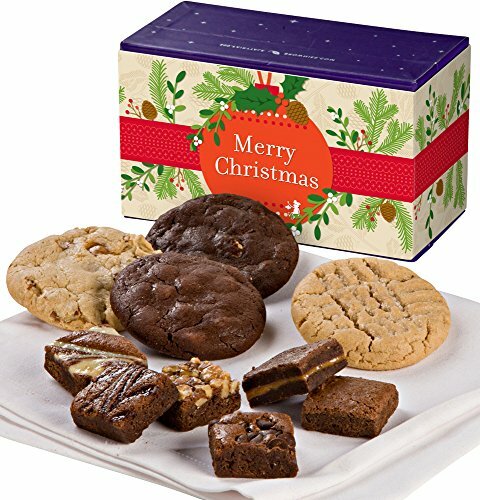 Gift types include sets of brownies, cookies and bars as well as assortments including a variety of all of these products. They also offer sugar-free and nut-free gift options, so you can specify your gift depending on the recipient’s dietary restrictions. As previously mentioned, Fairytale also offers an incredible gift club, which ensures that the recipient will remember how much you care throughout the entire year. Customers can select from a variety of gift packaging types. Treat boxes, tower gifts, keepsake tins and gourmet gift boxes are just a few of their beautiful and creative gift-packaging options. Fairytale also offers holiday and special event themed packaging for every occasion, a few of which include Birthday, Christmas, Halloween and Sympathy. Fairytale also offers corporate gift options, and can personalize the packaging of the shipment with your company’s photo or full-color logo. Other business-specific services from Fairytale include free logo gift message cards and a volume discounts/prepay incentive program. Fairytale Brownies also offers excellent customer service. Their user-friendly, interactive website has an extensive FAQs section, which is certain to satisfy most questions which may arise. They also have a customer service toll-free number with representatives available Monday through Friday from 6:00 a.m. until 5:00 p.m. Fairytale accepts emails through a form on their website, where users can submit questions, concerns or suggestions. They do no have live chat customer service at this time. Customer’s can order through the vendor’s secure website, which is verified by SiteSafe Network Solutions. In addition to major credit cards, they now also accept payment via PayPal. Fairytale also has a 24-hour toll-free number for placing orders which can be reached 24 hours a day, seven days a week. Fairytale’s interactive website also includes their Brownie Blog with extensive gourmet brownie-related content, reviews and more. 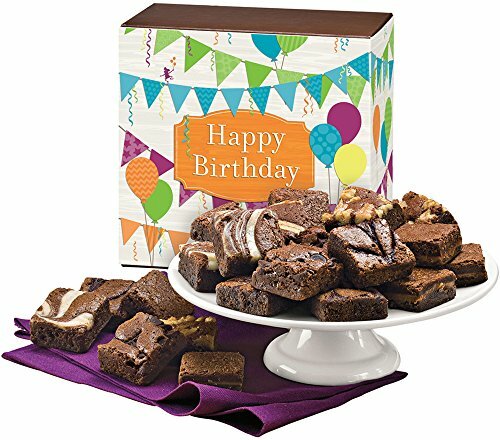 Brownie Samplers: Includes a variety of smaller-sized brownies ranging from $30 to $50 depending on the sampler selected. Fairytale Brownies is ideal for individuals hunting for the perfect gift. Their wide variety of gifting options, including holiday and special occasion-themed varieties and packaging ensure you will find something for every event. Since they do not sell individual brownies, this club may not be the best for people that want to shop for personal-use. 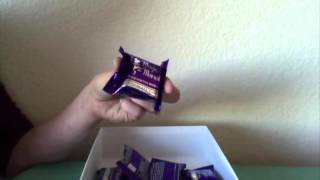 Fairytale’s kosher, sugar-free and nut-free options are also good options for individuals looking for brownies for specific dietary needs. We love Fairytale Brownies’ wide selection of products and flavors. With brownies, cookies and bars with a variety of flavors, everyone is certain find something to love. Even better, we like that in addition to their beautifully-curated gift sets, Fairytale also lets customers customize orders with the specific flavors and products that they want. This way, even the pickiest eaters will be satisfied. Another perk of this vendor is that their Fairytale Gift Club allows customers to select three, six and 12 months, so that no one is not stuck with a year-long commitment. Fairytale is geared towards gifts giving, which is a wonderful thing, but makes this club less than ideal for people who want to purchase individual or smaller quantities for themselves. Another drawback of this otherwise delightful vendor, is that they charge shipping fees for non-club members, including an additional fee in the warmer months. Although Fairytale does carry kosher, nut-free and sugar-free options, their lack of vegan, gluten-free and dairy-free offerings leave something to be desired. 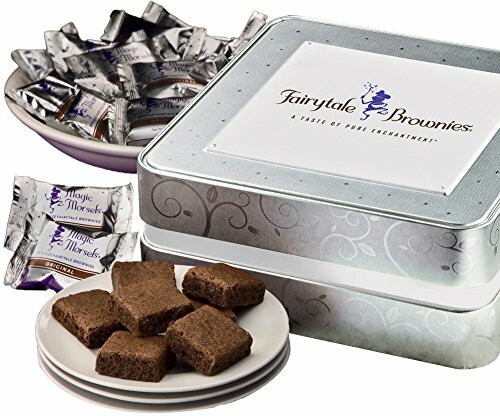 Despite these drawbacks, Fairytale is still a wonderful option for those looking to purchase brownie gifts. For the ultimate gourmet brownie gift. Our Own FairyTale Brownie Un-Boxing!